In today’s episode I am talking with Beth Anne Schwamberger of Brilliant Business Moms about selling physical products on Pinterest. Beth Anne has been successfully selling her planner on Pinterest. But she didn’t start out by designing planners. Some of you may be familiar with Beth Anne’s podcast where she and her sister interviewed Brilliant Business Moms – women who had found success as business owners. Through the process of interviewing these women and figuring out ways to serve them, Beth Anne and Sarah developed their first planner, which was just a business planner. 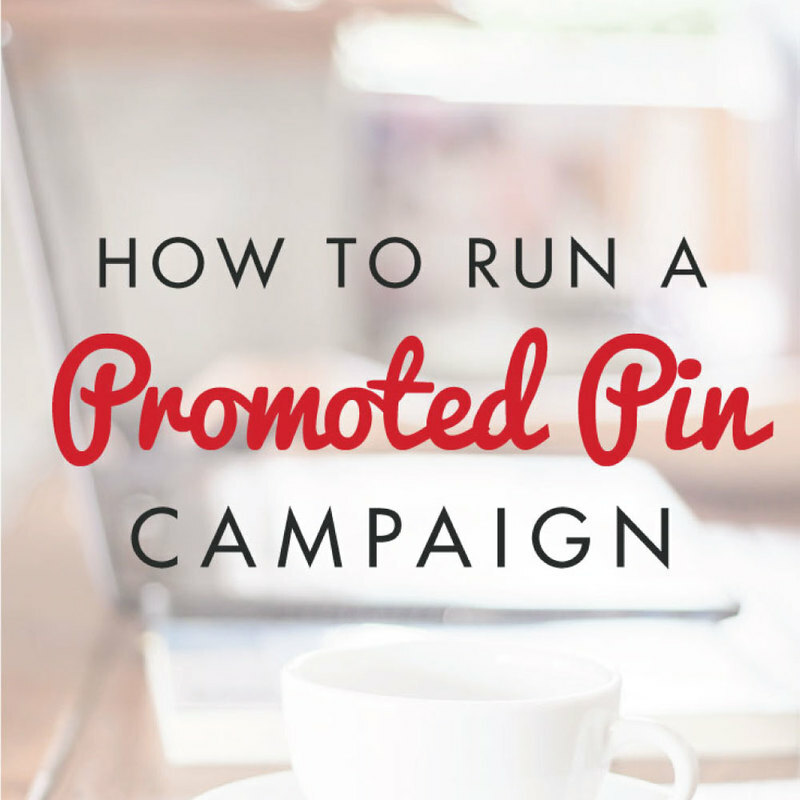 When Promoted Pins came out last year, Beth Anne began testing them to promote the planner. Fast forward to this year, and Beth Anne has released the Brilliant Life Planner. She’s strategically using Pinterest to promote the planner and sell it too. Let’s start at the beginning and walk through her process. The Brilliant Business Moms podcast began in June of 2014, and a couple of months into that, Beth Anne and her sister, Sarah, decided to do a survey to see what the needs of their audience were, and how they could begin to meet those needs. The results were twofold — Time Management & website traffic. Learn more about how to find out what your audience needs through surveys. While neither of them felt qualified to tackle the website traffic question yet, they definitely had some ideas for the time management questions. At that point, they were running an Etsy shop, doing the podcast, building their own website, and doing all the things a mom does every day. So they decided to write a book aimed specifically at moms who were trying to build a business and still manage all the daily stuff. Once the book was written, they began to think of other ways to make the ideas in the book more attainable for the women who might read it. Sarah had been making her own planner in a notebook for a while because there was nothing on the market to meet the needs she had. So they decided to design the planner they both needed for themselves, with pages specific to moms starting and building businesses. The book that Beth Anne and Sarah had written, Time Management Mama, was an ebook. So how did they decide to go from publishing ebooks to an actual physical planner? It can seem pretty scary to move into selling physical products if you’ve always been a blogger or ebook writer, but Beth Anne encourages you to at least try! Because she and Sarah already had an Etsy shop, they had some experience with shipping physical items. Once Sarah said she could do the shipping, they found a local print shop and worked with them to get the planners ready to sell. The commitment was low enough to be comfortable- they only had to purchase 100 planners to start the printing. Beth Anne recommends either checking for a local printer, or even checking Google. If you simply Google what you’re looking for along with your city, you will get lots of suggestions. Whether you’re looking for t-shirts to be printed, or coffee mugs or tote bags, there will be several options for you to choose from. When Beth Anne and Sarah finished developing the planner, it was marketing time. Beth Anne admits that they did a pretty rotten job. The original planner was actually launched at the end of May in 2015, which was just about the worst time of year to be launching a planner. They hadn’t sold those first 100 they’d had printed at the end of the first couple of months after the launch. If you test, if you tweak, if you talk to your customer, if you figure out what they like…there is a lot you can improve upon. Beth Anne tried many different ways of marketing the planner, from hiring someone to do a Youtube review, to buying sponsored Instagram posts, to doing a giveaway on a large blog…but the only marketing that actually worked and brought in a profit was using Promoted Pins. Pinterest was part of the marketing plan all along, and Beth Anne started early for the 2016 planner. Her first campaign ran in mid-November of 2015. At first, it seemed like Pinterest was also going to be a non-profitable way to sell the planner. But by the end of December, Pinterest was the clear winner in terms of sales. By the end of January, they had not only met their goals, but they had far surpassed them. Beth Anne and Sarah had opened their Shopify store in November of 2015 due to problems with their landing page on their website. Their checkout process was very glitchy and they realized they were losing customers simply because people couldn’t check out! Last year, Pinterest did not allow the option for Buyable Pins to be Promoted Pins, so they weren’t able to take advantage of that. That forced them to concentrate on just Promoted Pins, which got their product in front of lots of new faces and helped to grow their Pinterest account. Howver, now you CAN take those Buyable Pins and Promote them! It makes the purchasing process so easy for your customers; they can literally go from seeing your Promoted Pin to buying that product and never leave Pinterest. The process for Buyable Promoted Pins is the exact same process as a regular Promoted Pin campaign; no extra steps, no hoops to jump through. I asked Beth Anne to share some details on using Shopify along with Buyable Pins for those of us who may not be familiar with the process. Shopify is simply an online platform, but unlike other online stores such as Etsy, you actually own your own domain as a Shopify store. The options for customization are endless with Shopify; there are tons of apps you can add to your store. Inside Shopify, there are different channels, like a Pinterest channel, and you can choose to activate those channels. When you open your Shopify store, you choose your name, you choose a theme and set it up the way you want it, you add your customizations, you activate your channels, and then your physical products can become Buyable Pins. *Note that you can’t currently turn a digital product into a buyable Pin. Shopify does charge a monthly fee to use their platform. The basic shop is $29 per month, and is the one that Beth Anne still uses! Shopify is not the only platform to make buyable Pins available; you can also use Big Commerce, Magento, and Demand Ware. Pinterest leaves your items in the buyer’s cart indefinitely at this point; so if a buyer gets distracted and forgets to check out with your product, then every time they get on Pinterest, they will see the blue cart icon with the number of items in their cart. Once a buyer puts one of your items in their cart, they can choose to see other items for sale by you. Pinterest is giving Buyable Pins preference in the Smart Feed. The Buyable Pins show up without even having to click on the words Buyable Pins at the top- they’re just right there in the feed! For the new planner, Beth Anne did pre-sales through a Kickstarter campaign. She sold 600 of the 1,600 units she had printed through that campaign. But because she remembers last year, she knows that planners sell like gangbusters during all of January and most of February. This is why she is using the Promoted Pins on Pinterest now, in order to take advantage of that slow burn, and see those re-Pins turn into sales in January. I can’t stress enough the importance of Pinning early. The Pins that are going up now will have time to gain traffic and get noticed so that when January hits, they are showing up higher in rankings and searches. If your business has anything at all to do with the hot topics for the New Year, such as exercise, budgeting, organization, etc; you need to be running Promoted Pins campaigns on those Pins right now! The more time you give people to share your Pins the more re-Pins you get, the more you show Pinterest that you’ve got Pins that people want to see, and the reward is higher ranking in searches and in the Smart Feed. If you are just getting started on selling physical products, Beth Anne has some advice for you. Have fabulous, Pinterest worthy photos. (Learn more about how to create images optimized images here.) This summer was the first time Beth Anne had a professional photographer for her planner; she did the previous ones herself. You can certainly do that and BethAnne shares tips in the episode as to which shots are best. Set up a Shopify store and enable your Pinterest channel. This is such an easy step to take and will make everything else go more smoothly. Promote those Pins! Promoted Pins are how Beth Anne jumps to the head of the pack. Beth Anne spent a good chunk of time explaining how she decides how much to spend on her Promoted Pins, along with what other marketing she uses. Be sure to listen in to hear these tips that were just too detailed to share here! Make sure you listen to episode 30 for more details on my recent Promoted Pin campaign. Beth Anne shared so much helpful information today. I am sure you have lots of ideas on how to use Promoted Pins to help market your own physical products! As always, be sure you comment below and tell us how it all worked out for you. Check out The Complete Guide to Promoted Pins for even more tips on using promoted pins on Pinterest. Glad to read your informative and interesting post. Pinterest is one of the biggest social media channels in the world in order to promote our valuable products through Ads. Pinterest drives more average order value per sale, than any other social media network online today. When choosing our keywords we need to be sure to include everything that is relevant to get as many repins as possible. Eventually, thanks for reveling a light on this topic.